Listed below are all Durham homes for sale in Durham, NC. To learn more about the Durham, NC real estate market, or to schedule a private showing for a home or condo that’s currently on the market, give Brandon Duncan with Duncan Prime Realty a call today at (919) 808-2001. Also, create a free account to receive updates when a new home in Durham hits the market or to have other new listings that match your search criteria sent straight to your inbox. View active homes for sale in Durham or read more about Durham NC below. What's It Like In Durham, NC? Durham is a unique community. It’s an eclectic blend of southern charm, friendly neighbors, and city living. Residents love the melding of culture, history, growth, and opportunity. It truly is a wonderful place to live, work, and play! People from across the Triangle flock to Durham for work and to experience the fantastic dining, shopping, and recreation it offers. Here are a few reasons why we love Durham. "Where city living meets Southern Charm"
Durham, NC is known as the “Bull City” and the “City Of Medicine.” Bull City comes from its history as a tobacco town (and the marketing of the Bull Durham Tobacco Company), and the City Of Medicine comes from its history and earned a reputation as a leader in the healthcare industry. More housing options: Durham offers everything from traditional single-family homes to trendy high-rise condos to luxury estates. Excellent schools and universities: Parents will find options including public schools, charter schools, and private schools. The area is well known for its universities, including Duke University. Access to healthcare: Thanks to Durham’s thriving healthcare industry, residents have access to a number of hospitals, physicians, and cutting edge research. This makes it a top choice for retirement. Plenty of nearby shopping: From malls to boutiques, Durham has something for everyone. A thriving food, wine, & beer scene: Durham has the restaurants, wine bars, wineries, and breweries people from everywhere love to visit. Easy travel around Durham, the Triangle, and beyond: Residents love how simple it is to get around Durham. Plus, it’s easy to get to Raleigh-Durham International Airport, making it easy to go anywhere! A vibrant, diverse community: People from all over the world call Durham home! Nearby recreation: From festivals to museums to sports to exploring nature, there’s no shortage of things to do all year. A Super Dog-Friendly Community: People in Durham LOVE their dogs! There are hundreds of dog-friendly places in the Durham area, including restaurants, breweries, dog parks, trails, and even aquatics centers. Where is Durham, North Carolina? Durham is a core part of our region, the Research Triangle area. Durham is in Durham County, which is north of Wake County, NC. Durham is neighbored by the communities of: Chapel Hill, Raleigh, Morrisville, Hillsborough, Bahama, Butner, and Creedmoor. As part of the Triangle area, Durham is only a few hours travel from awe-inspiring mountains and beautiful beaches. As mentioned above, Durham offers a large variety of housing options. Durham’s real estate market resembles that of a much larger market. Many of the historic tobacco buildings have been converted into chic loft-style condo and apartment complexes. Downtown Durham, which is undergoing a wonderful renaissance, even offers high-rise condos with the kind of big-city amenities one might expect in New York or Miami, such as rooftop swimming pools and gorgeous views from floor to ceiling windows. 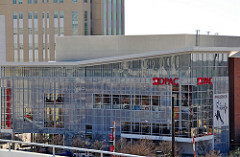 City-slickers will love the walkability and vibe of Downtown Durham. For those who are looking for the burbs but still want the convenience of the city, numerous subdivisions and townhome communities are scattered all throughout the area for local professionals or single-family home buyers seeking a bit more room to grow. Nature lovers will want to check out the neighborhoods in North Durham near the Eno River, one of Durham’s best treasures. Luxury home buyers will find gorgeous homes in the upscale subdivisions which include The Hills of Rosemont, Maida Vale, Treyburn, and Colvard Farms. If your budget is more in the $300,000 to $500,000 price range however, we suggest checking out homes for sale in Brightleaf, The Hills at Southpoint, Chancellors Ridge, or Huntington Ridge. First-time buyers looking in Durham will want to check out our first time home buyer resource page for great tips about home buying. Durham families enjoy a variety of school choices. The public schools are managed by the Durham Public School system, which offers an incredible number of programs, services, and opportunities for students and families. Some Durham residents take advantage of the highly rated public charter schools in the area or choose one of the hundreds of private schools located in Durham. Durham is also home to the North Carolina School of Science and Mathematics, which is the nation’s first residential STEM focused high school. Then, of course, there are the phenomenal universities in and around Durham that the Triangle is so well known for. Duke University is located in Durham. It is one of the top ten universities in the nation and one of the top twenty in the world. Many people start their home search based on certain school districts. We worked long and hard to put together a home search feature that now will allow you to search homes for sale by school location. Having access to quality education is key and Durham offers a variety of great opportunities for everyone. Going from A to B in Durham is an absolute breeze! In fact, the average commute time in Durham is under 10 minutes! Durham is well connected for car travel. Major traffic arteries include NC147, US 15-501, and I-40, which form a loop around the city. Other highways in Durham include I-85, HWY 70, and HWY 98. Like most of the Triangle, Durham is considered “car-dependent,” but public transport is available and plenty of people walk and bike. There's even a pedicab service! If you love to walk, the most walkable neighborhoods are Old West Durham, Duke University - East Campus, and Walltown. The most bikeable neighborhood is Old West Durham. 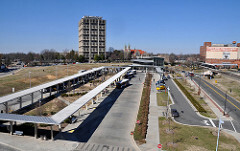 GoDurham offers public transportation services for Durham. This convenient service even offers a free app, the Transloc Rider, to locate the closest bus stop and routes, and see buses in real-time. People from across the Triangle area work in Durham. The largest employers are Duke University and the Duke University Health System, followed by IBM. Many small businesses call Durham home as well, and there is a vibrant entrepreneurial spirit here. In fact, Forbes’ has ranked Durham as one of the top 10 Best Places for Business and Careers. Residents of Durham love the many parks, trails, and green spaces found throughout the city. Durham Parks & Recreation manages 68 parks, which includes 3 dog parks and numerous trails and lakes. Plus, they offer facilities and programs for aquatics, fitness, active adults, child-care, and more. People also enjoy the Eno River State Park in Durham, which offers fishing, hiking, camping, boating, swimming, rock climbing, and lots more. The American Tobacco Trail (ATT) also crosses through Durham. The ATT is a 22+ mile rails-to-trails project. The Durham section is called the American Tobacco Greenway and is 11 miles. Durham has a rich history dating back to before the Revolutionary War. It remained small though until the late 1860’s. Durham's growth took off after the Civil War with a thriving tobacco industry. 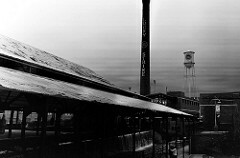 You can see this today in the historic buildings and smokestacks of the American Tobacco Campus. Historically, Durham industry was built on tobacco, textiles, and agriculture. Durham is in the midst of a revitalization. Old tobacco buildings are now swanky loft style apartments, and trendy spots such as farm-to-table restaurants and microbreweries have popped up around the city. Old buildings are being renewed, new high-rises are in the works, and Durham has remade itself into a tech and research hub. Sept 2016: Duke University named #8 top college in the U.S.